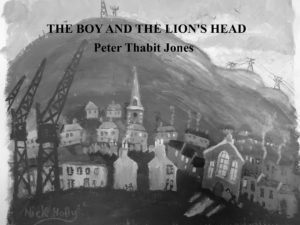 Peter Thabit Jones was born in Wales and raised by his maternal grandparents. He is the author of fourteen books, several of which have been reprinted and four published in Romania. His work has been translated into over twenty languages. Peter is the Founder and Editor of The Seventh Quarry Swansea Poetry Magazine, which publishes poetry, translations and articles from around the world, and the accompanying The Seventh Quarry Publishing Press, which publishes international books of poetry, prose, and art. He is the recipient of the Eric Gregory Award for Poetry (The Society of Authors, London), The Society of Authors Award, The Royal Literary Fund Award (London) and an Arts Council of Wales Award. He has been a prize winner in several UK and international poetry competitions. Most Recently he received the Ted Slade Award for Service to Poetry in 2016 by The Poetry Kit (UK) and the Homer European Medal for Poetry and Art in 2017. Begining in 2010 and through to the present, Peter has resided for periods of time at Big Sur, California, as writer-in-residence.